There are many reasons that people become addicted to alcohol and drugs. However, once a person is addicted to a substance the only way out of the addiction is attending an Addiction Treatment Center. 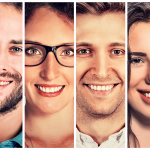 Individuals that are experiencing an addiction affect their health and happiness. They struggle to maintain their health and have a difficult time maintaining happiness. In some respects, they sometimes only believe they are living to experience the next drink of alcohol or the next drug ingestion. A person that is experiencing this way of thinking will need to seek help immediately. Addiction consequences usually follow once a person is mentally struggling with trying to live to use a substance. People with addictions need to understand that there is a solution to the problem, and it starts with them asking for help. There is a way out of addiction, and there is no reason to continue to use alcohol and drugs when treatment options are available. Addiction is a loss of control while using an addictive substance in which a person experiences and compulsive desire to use the addictive substance. Addictions manifest an inability to stop the use even though the addictive substance is causing problems in one’s life. There is a physical and psychological dependence that is created from using the substance. Many times, when the substance is exiting the body individuals experience physical withdrawals from the substances being used. Addiction has been characterized as the use of a substance in a chronic, compulsive, or uncontrollable way. What is known about addiction is that cognitive, behavior and physiological symptoms are experienced. The individual will continue to use addictive substances even though they are experiencing significant substance-related problems. Summer Sky Treatment Center offers a full continuum of care for anyone experiencing an alcohol or drug problems that need addiction treatment. No matter where you are in your addiction one of our treatment problems can help you stop the cycle of addiction. People travel to our treatment programs from all over Texas and the United States. Summer Sky is a nationally recognized addiction treatment center, and we are licensed by the State of Texas and accredited by The Joint Commission. If you need an addiction treatment center contact our addiction treatment specialist at 1-888-857-8857. Let us help you stop the consequences of addiction. Alcohol Addiction is a very dangerous addiction and because of the addictive physical feature of alcohol people that are addicted to alcohol will need medical intervention to stop an alcohol addiction. A person addicted to alcohol will need medical detoxification (Detox) to become free from alcohol effectively. A person can have fatal results without allowing a medical detox program to help with stopping the use of alcohol. It is recommended that a person does not stop drinking alcohol without first arranging for medical detox at a facility that deals with alcohol addictions. People that are experiencing an addiction to Methamphetamine experience a stimulated central nervous system which creates issues related to prolonged time periods without sleep. Addiction Treatment Programs will address the initial lack of sleep issues, restless feelings, reduced appetite, irritability, and anxiety during medical detox. Since Methamphetamine Addictions have a high potential for psychological dependency and the withdrawal effects may occur for up to 21-days after a person’s last usage, it is recommended that a person seek help in a 30-day treatment program or 90-day treatment program for maximum effectiveness. It is a good idea also to pick a facility that offers medical detox on site. Cravings must be managed by the addiction treatment center to prevent a relapse from occurring. Heroin Addiction has a high potential for overdoes to occur and it is advisable to seek help immediately for heroin addiction. The physical, psychological and social effects of a heroin addiction usually are accompanied by addiction consequences prior to admission into a treatment program. Once a person asks for help, it is important to get to the treatment program as soon as possible so that medical detoxification can be started to remove the harmful substance from the body. 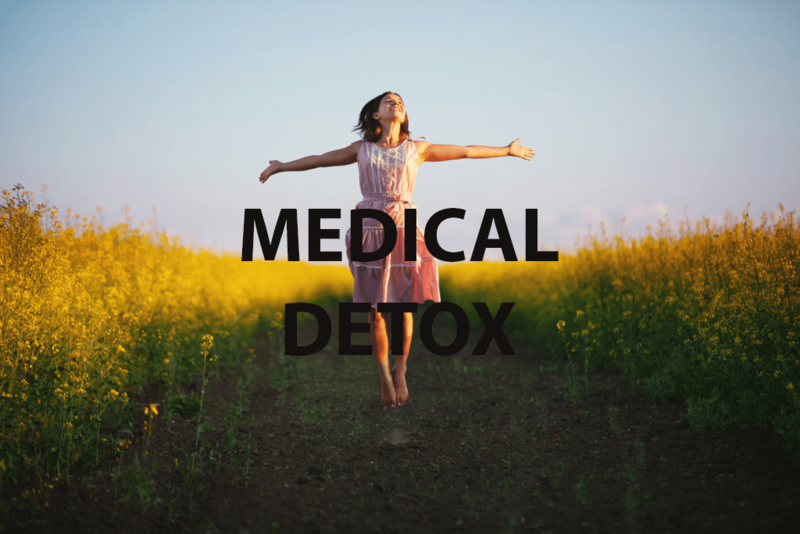 There are now effective medical detox medications that help with the withdrawal process and make detox comfortable. It is recommended that an individual with heroin addiction seek help from either a 30-day treatment program or 90-day treatment program. People that are addicted to oxycontin will need immediate medical detox followed by treatment in a 30-day addiction rehab or 90-day treatment center. This drug has a high potential for overdose and is physically and psychologically addictive substance. Relapse prevention during treatment is critical to becoming successful in recovery. Pick a treatment center with a strong relapse prevention services. The longer you can stay in treatment the better you are with this drug addiction. Hydrocodone Addiction is a very common addiction in the United States, and more people are finding themselves addicted to this substance. 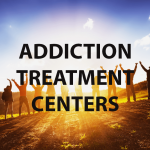 Since there will need to be medical detox, it is advisable to find a drug addiction treatment program that specializes in the treatment of people with prescription drug addictions. These programs will first address the physical aspect of the addiction and then help with the psychological aspect of the addiction. Counseling and recovery support are also necessary during treatment. Xanax addiction or more commonly referred to as benzodiazepine addiction is a class of drugs that are dangerous to stop without medical attention from a medical detox center. Do not attempt to stop using this drug without medical monitoring and then follow through after detox with residential treatment. This drug has the longest medical detox protocols of all addictive substances. If you are addicted to this chemical, then contact an addiction treatment program for help with this substance. Cocaine addiction has a high potential for overdose, so once a person realizes they are addicted to the drug and to avoid further addiction consequences from the addiction, it’s important to contact a treatment center for medical detox and residential treatment. For someone that has been using cocaine for more than two years, it is a good idea to find a treatment center that has a 90-day treatment center. The psychological aspects of the addiction to cocaine are powerful after the body has been medically detoxed. The post-acute effects show up after a person is clean and in treatment. A 90-Day residential treatment center is often needed to teach a person on how to deal with post-acute withdrawal and to identify relapse warning signs and learn how to utilize these warning signs. The person who has a cocaine addiction can experience psychological cravings that are greater than other addictions. If a person cannot attend a 90-day treatment center, then pick a facility that has medical detox along with a 30-day treatment program. Summer Sky Addiction Treatment Center is in Stephenville, Texas and our addiction treatment centers help people stop the addiction consequences that are associated with becoming addicted to alcohol and drugs. Our addiction treatment programs are nationally recommended treatment programs. People from Abilene, Addison, Amarillo, Dallas, Denton, Frisco, Georgetown, Houston, Plano, Round Rock, San Antonio, Waco, Austin and Lubbock all travel to our treatment programs on a monthly basis. You can contact our treatment program at 1-888-857-8857.